These wonderfully detailed shoes, handmade using vintage materials, are absolutely stunning. Most items sell within minutes of being listed on Etsy. 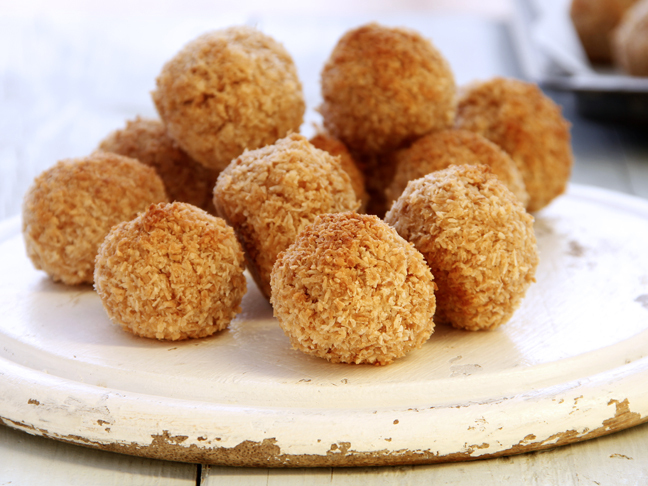 These are totally destined for heirloom status! 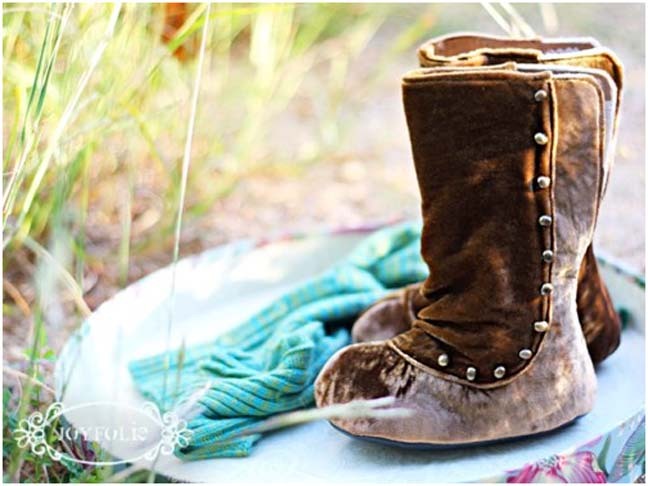 Joyfully peruse the "pleasantly stylish, … artfully crafted, and beautifully packaged" children's boots and shoes of Joyfolie – a team of stay-at-home moms that handcrafts each shoe individually. 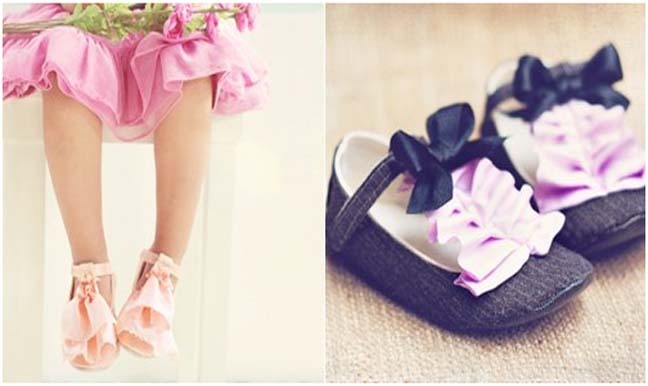 Most items sell out within minutes of being listed on Etsy, so time is of the essence when ordering your child's dream pair of silky ballet flats or stylish boots. 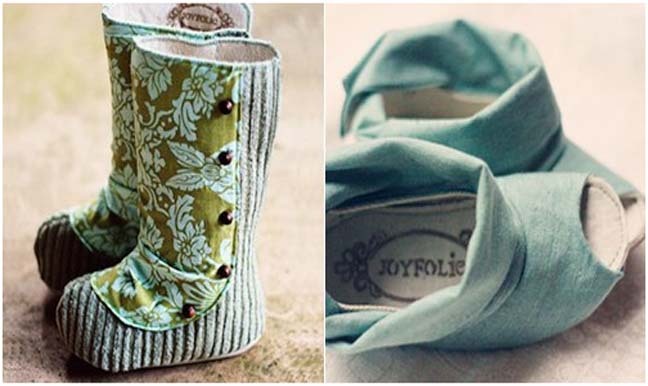 Joyfolie began as a bit of a happy accident, when the founder made a pair of fabric booties for her infant daughter which acquired instant fame. Materials are chosen from the finest eco-friendly selections, including organic cottons, bamboo jersey, recycled rubber, organic eucalyptus, felt made from recycled plastic, cork, and other reclaimed materials. Not only are these materials sustainable, but they also feel great on babies' and toddlers' skin, proving less irritating than most synthetic fibers. Another perk of a Joyfolie purchase is that 10% of the profits go to Giving Children Hope, a national non-profit organization that refurbishes discarded medical equipment for use in impoverished areas and for disaster relief. Visit Joyfolie on Etsy to view more from this amazing collection!